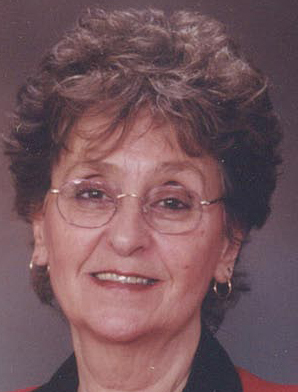 Carlisle – Joan Dorothy Kennedy, 81, peacefully went home to be with the Lord on Friday, February 8, 2019, after a courageous battle with cancer. Born March 5, 1937, in Dumont, NJ, she is the daughter of the late Norman and Dorothy (Morallo) Fogel. Joan later moved with her family to a farm in Dorloo, NY. She was a class of 1955 graduate of the former Cobleskill Central School. Joan worked for the New York Telephone Company and later retired from the New York State Thruway Authority. Joan was passionate about helping people and she demonstrated this in her career as a real estate agent while working for Realty USA, Real Estate Associates, and John Dahl Realty. Her hobbies included gardening, traveling, cooking and going to the beach whenever possible. Joan was preceded in death by her son, Jeffrey Kennedy, and her brother, Robert Fogel. She is survived by her loving family: daughter, Susan (George) Riquier; grandchildren, Kayla (Jeff) Sperbeck, Victoria Riquier, Christopher Riquier and Christian Kennedy; great-grandchildren Harper and Harrison Sperbeck, and “adopted” daughter, Elene Lowden, and her sons, Kale and Ben Berard. She is also survived by long-time friend, Richard Hamm, her cousin and many nieces and nephews along with her furry companion, Oscar. Visitation for family and friends will be held on Friday from 5PM to 7PM at Mereness-Putnam Funeral Home, 171 Elm St, Cobleskill. A funeral service will be held at the funeral home at 11AM on Saturday, February 16, 2019 with Rev. Ray Richards of the Calvary Assembly of God Church officiating. Burial will be at the Seward Valley Cemetery. Memorials may be made out to the Marathon for a Better Life, PO Box 268, Warnerville, NY 12187.